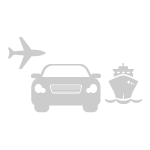 AN&GO takes care of the transfer of customers from the airport to Civitavecchia Port and vice versa. The service offers accompanying the customers in a vehicle provided by a third party. It’s also possible to use an additional service of booking and arranging transportation. However, the rates stated don’t include the transfer which may vary depending on the transfer company. I read this article and found it very interesting, thought it might be something for you. The article is called Transfer Fiumicino Airport/Civitavecchia and is located at http://www.anego.it/en/services/transfer-fiumicino-airport-civitavecchia/.